Congrats to Jason S. of Newfoundland who is the winner of our Aeroplan Turns 30 contest! Thanks to all of you who participated. As for changes in air ticket redemption with Star Alliance member airlines, these include increases up to 13.000 miles in Economy Class and up to 26.000 miles in Business Class. 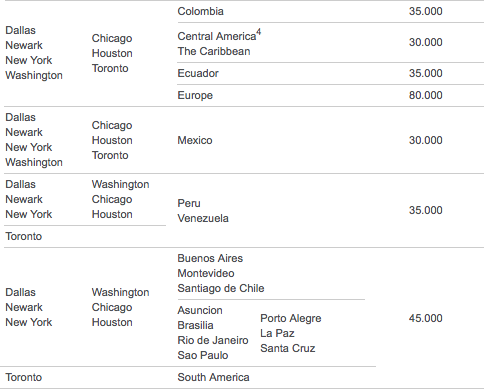 Both cases apply for roundtrip flights from North America. For roundtrip flights from Mexico, there will be reductions up to 15.000 miles and increases up to 14.000 miles in Economy Class, also reductions up to 20.000 miles and increases up to 28.000 miles in Business class.